How to combat unwanted hair loss for males? Guys, we put a lot of effort in our appearance. We spend our money on grooming kits and gels for our hair. Some men consider a lot of hair to be manlike or macho. Males are probably as judgmental towards their own appearance as females are, especially when they notice a rapid loss of hair. Hair loss can be a stressful change to cope with, which is ironic since stress is also a major contributor to hair loss in men. Having a full head of hair helps portray and reinforce the embodiment of masculinity. It’s really about the loss of control over our bodies that exemplifies hair loss. Sudden physical changes can be exceedingly detrimental to a man’s confidence, which leads to depression, self-esteem issues, and social withdrawal. How does hair loss work and what can be done to stop the process? Most people just see hair falling and assume it's associated with hair loss. We actually shed around 100 hairs a day, any more means you could have an issue. Learn More about Hair Loss. So how does unwanted hair loss work? In men, hair can show a noticeable shrinkage either near the temple and slowly recede back, or begin at the whorl - the back of the head - creating a larger circle as the damage progresses. Each hair follicle holds somewhere between 3 and 5 hairs, so when hair loss begins, the destruction of hair weakens the follicles which leads to a loose foundation. An interesting correlation between twins and hair loss is they usually begin to lose their hair at the same age and present the same pattern of thinning hair. This suggests a hereditary link to the condition. If hair loss is inevitable, what precautions can you take? Read More. 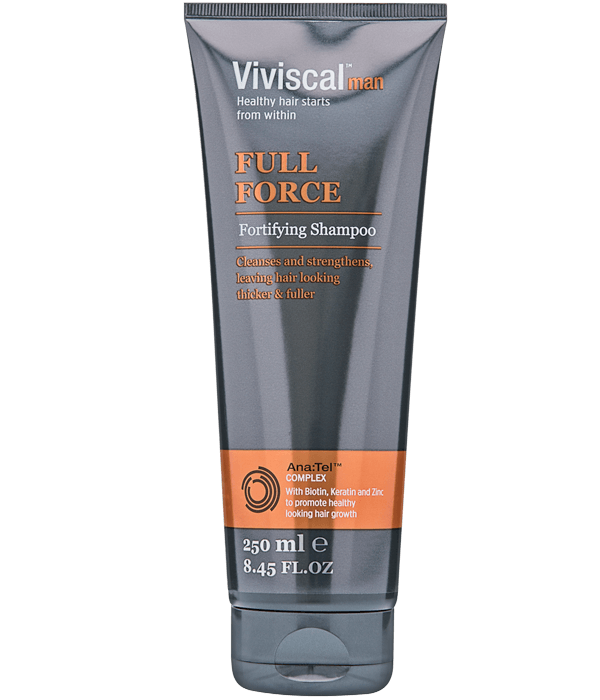 Viviscal Man hair supplements provide some ingredients of natural origins, including vitamins and other nutrients you need to keep your hair looking thick and your hair follicles healthy. Viviscal is the #1 selling Hair Supplement in the US. Viviscal Man has been scientifically proven to nourish thinning hair and promote existing hair growth, making hair thicker and fuller. The secret to Viviscal Man nutritional supplements is we use only the best vitamins and minerals proving to be absolutely beneficial for your hair. Flax seeds contain high amounts of Omega-3 fatty acids and Vitamin E. These vitamins help nourish hair follicles and keep your hair strong. Vitamin E helps your capillaries grow into your hair follicles providing blood and nutrients, helping to continue the growth process and prevents discoloration. Omega-3 fatty acid also improves the elasticity of hair and making it less susceptible to breakage. Vitamin C is added to Viviscal to help the production of collagen, a balance of several key amino acids. The amino acids in collagen sustain the structural integrity and thickness of your hair, while providing proper blood flow to your hair follicles. Viviscal provides your scalp with all of the proper nutrients to help bring thicker, fuller hair back into your life. You already have enough to worry about when it comes to your overall health. You might be a father with early signs of male pattern baldness, or you may want to take a more proactive approach to keeping your hair healthy. 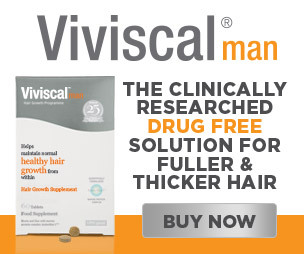 Viviscal Man helps you in your journey to better healthy looking hair. With over 4 million units of Viviscal supplements sold globally since its launch, it's no wonder we’re trusted by so many men eager to bring back their healthy hair.